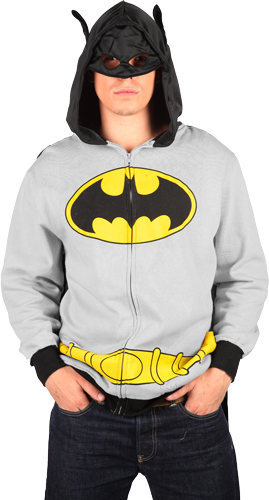 Let’s admit it, making it to a costume party in an appreciably geeky outfit and managing to look sane while walking down the street in it is no easy feat to accomplish, until now; this geeky batman hoodie has been designed for just that purpose. 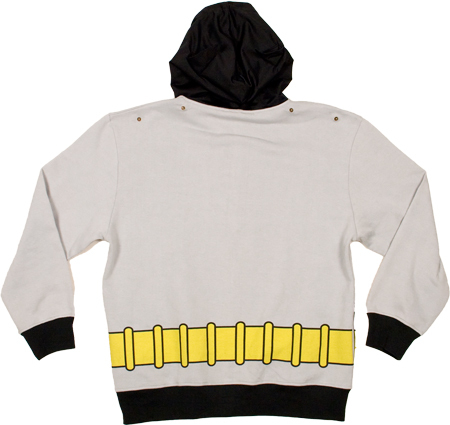 The batman hoodie or the Captain America hoodie as a matter of fact may not turn heads in the costume world but manages to look the part none the less; however this hoodie does have a few tricks up its hood. The hood itself conceals a drop down mask that covers the eyes completing batman’s headgear (ears included) and to add to its versatility it also come equipped with a detachable cape that gets press-buttoned onto the back. 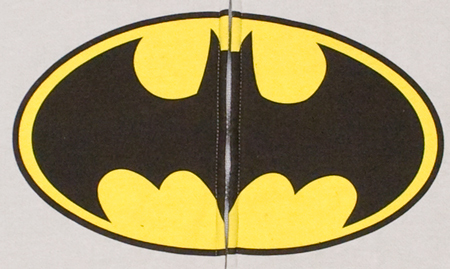 The hoodie sticks to the original gray Batman costume and comes with the Batman Logo and utility belt printed on; however one must be warned that the belt printing technique that was used and the size of the prints the work has falls a bit short on quality. 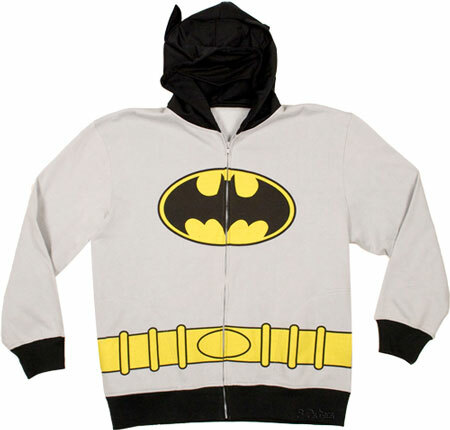 But every cloud does have a silver lining, in this case you can be sure that your hoodie won’t look like anyone else’s. 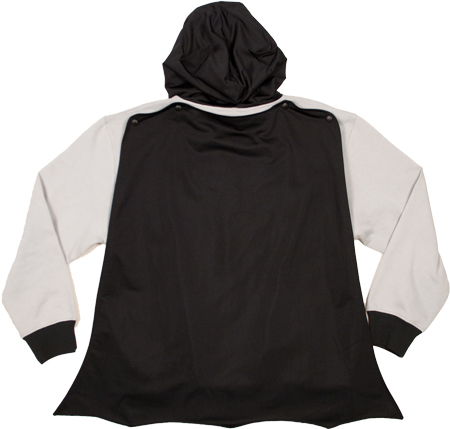 The hoodie is well priced at $50 and is available in the usual range of sizes( i.e. Small, Medium, XL, 2XL) but if you’re more of a Kiss fan then the Black Rhino Kiss Hoodie could be your next gig costume.